You'll be £6.00 closer to your next £10.00 credit when you purchase How to Overcome Eating Disorders. What's this? If you want to gain a better understanding of eating disorders, including anorexia, bulimia and binge eating disorder, this book is for you. It looks at theories about the causes of eating disorders, including susceptibility studies, personality traits, genetics, the effects of personal circumstances, societal/media pressures, family influences and more. The health risks are covered and the damage caused by eating disorders is made clear. This information, especially, will help some sufferers find the strength and determination to fight their disease and break free. The book explains the logic of eating disordered individuals, with some using food or weight control as a coping mechanism to block out painful emotions. It will enable the reader to better understand why some people with eating disorders behave as they do. It looks at the latest research, and new and emerging treatments are discussed, as well as established treatments and their success rates. In addition to conventional treatments medical, psychological and therapeutic the book considers complimentary therapies that may support an individual's recovery. It also includes nutritional information, to help those who are frightened of food, because they feel out of control around it, or are afraid of being overweight. There is a chapter on adjusting to change, recovery strategies and a look at why pro-ana communities are unhelpful, suggesting healthier social groups and past-times. The book contains extensive case studies of people who have battled with anorexia and bulimia, looking at some of the things that may have played a role in their disease, such as abuse, bullying, loneliness, low self-esteem, unhappiness and pressures to conform. All in all, a really insightful book. 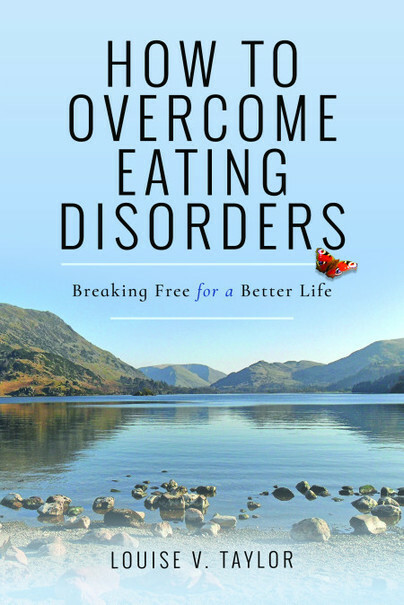 Thoroughly recommended for sufferers or those simply curious about eating disorders. I learned so much from this book. The author did an amazing job with different experience. Having suffered from eating disorders for most of my life this book is good point of reference for understanding the illness. It will not cure you but it will give you a deep insight into the psychology behind them. While everyone has a different reason why their eating disorder has begun this book is filled with interesting facts and also includes some case studies. A good place to start if you are asking questions. This book really opened my eyes to eating disorders and how they can affect ones life. I went in knowing little there is to know about them. I work in the public schools health department and thought it would be great to get some insight and maybe some signs to look for. Great read! Going to pass on to my school nurses and health assistants as well. The author paints a wonderful picture of what can trigger an eating disorder. She gives readers different areas of healing, therapies, and support groups. It's a book that as someone who's always to some extent going to be recovering from an eating disorder myself, I can appreciate it's a positive influence on me now as a contrast to where I was. Where as if you are struggling it may trigger you more. Louise V. Taylor struggled with long periods of anorexia and bulimia in her teens and early 20s, before breaking free from the disease, overcoming her obsession with food and weight control, and finding better ways to manage her difficult feelings. She has since qualified in nutrition and psychology, and now works as a writer. She's keen to help people gain new-found confidence, move on from difficult circumstances and focus on the good things in life, for a positive future.